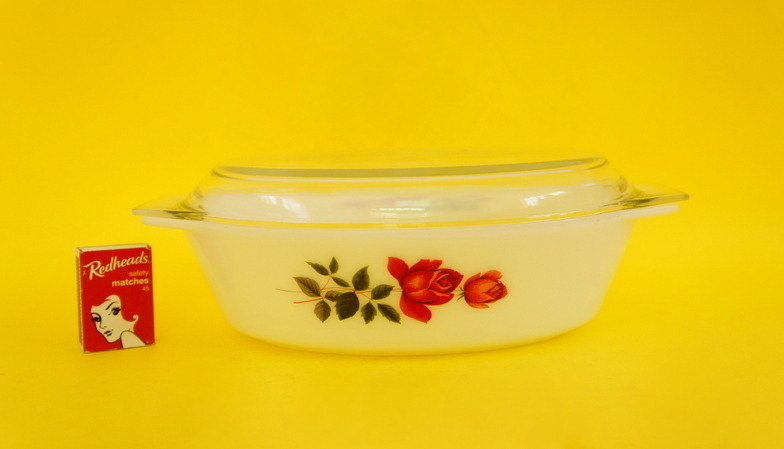 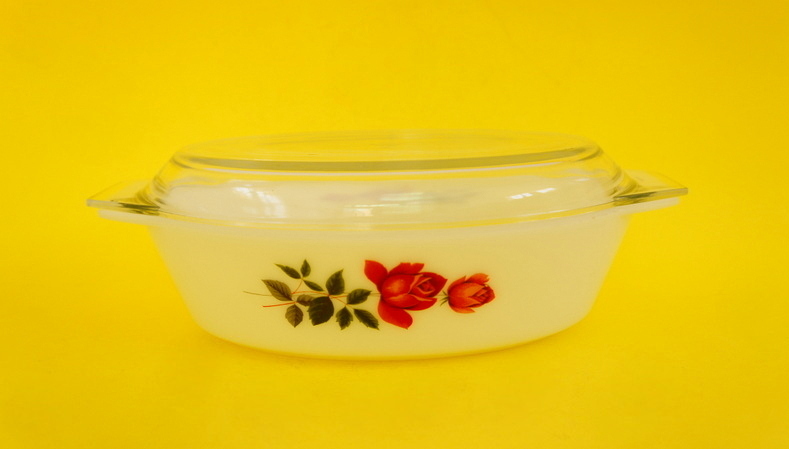 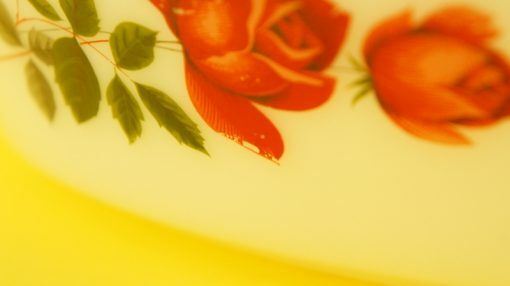 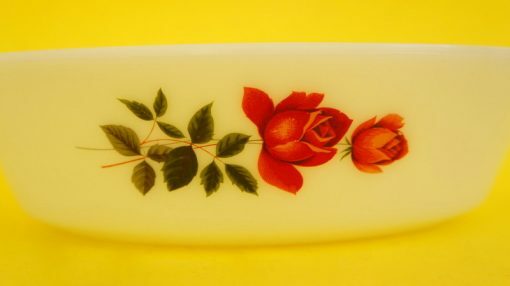 I know that the rose decal on this JAJ Pyrex dish is a bit kitsch, but I think it’s also quite cool, and the bright red of the rose means that it really stands out – no wilting flowers here thank you! 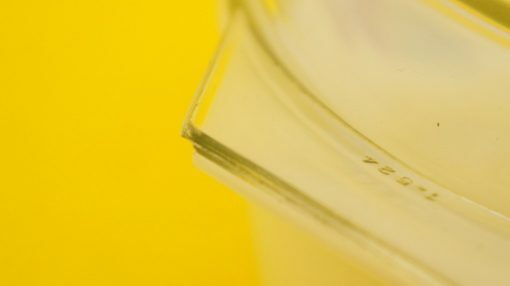 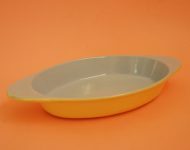 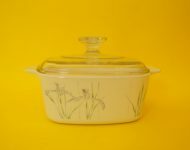 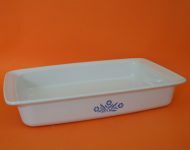 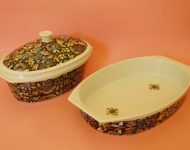 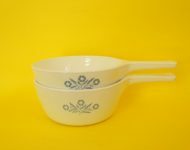 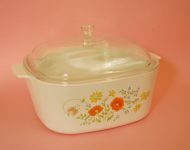 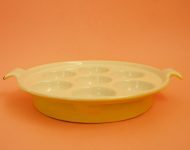 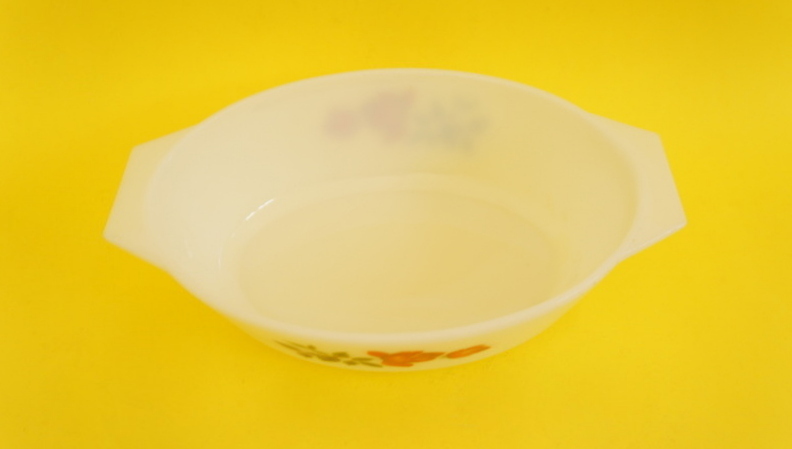 Its also in great condition* and importantly has it’s original, which more often than not are missing from these vintage pyrex dishes. 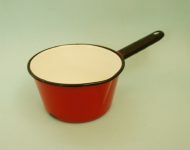 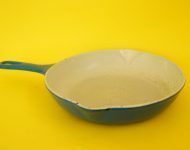 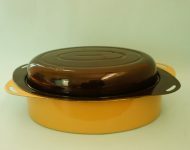 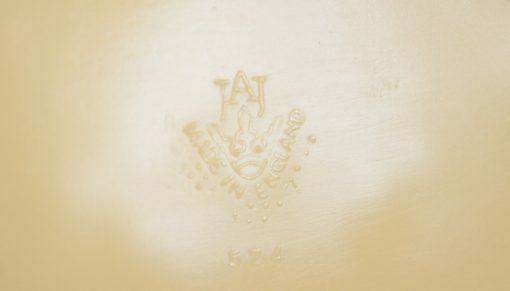 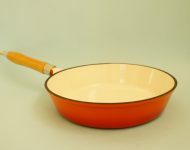 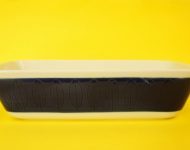 A wonderful bit of cookware that can go straight from your oven or microwave onto your dinner table.